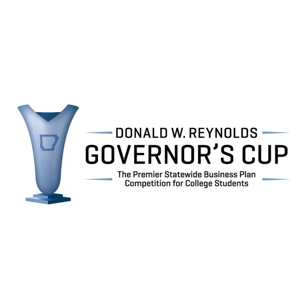 I recently had the opportunity to serve as a judge for the 2016 Donald W. Reynolds Governor’s Cup Business Startup Competition. The participants in this competition were all college students from Universities around the state. I sat in on a total of 7 startup pitches and had the opportunity to research their business plans in great depth. Let me state for the record, this was not an easy competition to judge. All participants weren’t “good” they were all “great”, I wish there was a way to give them all a cash award and a trophy! At this time I can’t say who the winners were because it hasn’t been announced yet and the teams do not know. I did want to let each team know that they left it all on the field. I served up some tough questions, as did my awesome team of judges for the competition and each of the teams fielded these questions with confidence and knowledge. I think today the older generation of business leaders (and even politicians and government officials to some extent) have a hesitance to get on board with these startups because of the lack of business maturity and experience some of these young students might have. I don’t buy into this theory, I’m probably the exact opposite. I believe that it’s the next generation that will do things in the field of agriculture that we never even imagined possible. I’d also like to offer my support and help to any of these teams moving forward should they ever need help.